Polio and Me, written by Ken Dalton, is a memoir that provides a view of the past, present, and future—the saga of one boy’s pain, fear, and loneliness—the long struggle to develop a vaccine and effective treatments—the world-wide goal to eradicate the polio virus, and in some twenty-first century cancer research trials, the polio virus eliminated cancerous tumors. Today, seventy-two years later, as a father of three, a grandfather, and great-grandfather, the idea that an ambulance team could walk into my doctor’s office and rip my son or daughter from my arms is an appalling notion. But this was 1943, decades ago, when polio epidemics killed and paralyzed an average of 12,000 children and adults each year. I understand that having your child taken from your arms sounds draconian, but in Los Angeles, during the summer months of the annual polio epidemics, as many as one hundred patients a day were admitted to Los Angeles County Hospital. Once the patient’s illness was confirmed as polio, those patients were moved to the Communicable Disease Building where they would remain isolated until all possibility of passing on the polio virus to a non-infected person had ended. And Los Angeles was not alone. Public health professionals throughout the country had learned to act swiftly because when it came to a polio pandemic, the end justified the means. So the abrupt actions of the Los Angeles ambulance crew may have seemed cruel, but the fear of polio, both real and exaggerated, caused even rational professionals to overreact. The moment any patient’s illness was thought to be polio, that patient would be rushed to an isolation facility where he or she would remain for weeks if not months. 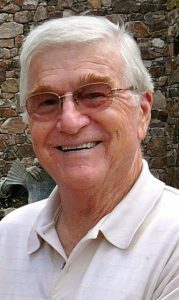 One of the major reasons a diagnosis of polio was so frightening for my parents and the medical professionals alike, was that no one could predict the eventual outcome of a polio infection for an agonizingly long period of time. While I was in the Communicable Disease Building at the Los Angeles County Hospital, my parents struggled with a list of frightening questions without a way to learn the answers. Would their son lose his ability to breathe and die in isolation? Would their son spend the rest of his days living in an iron lung? Would their son remain paralyzed? Would their son recover some use of his limbs? Looking back, those weeks apart were among the most traumatic days of my life. But during that summer of 1943, as the summers before, and the summers that followed, children with polio, and their parents, learned to endure. 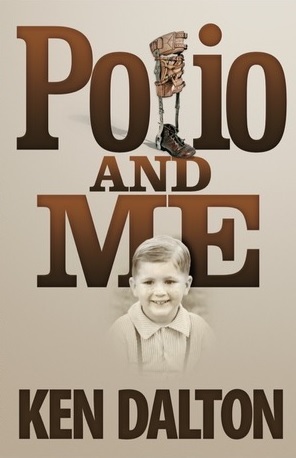 Thank you for posting the excerpt of my book, Polio and Me. It captured the feeling of panic a mother would experience if their child was taken from their arms.